Missouri's diverse landscapes, geology, and climate have endowed the state with a rich and varied grass flora. From tallgrass prairies to forested Ozarks to Mississippi lowlands, the state offers an array of grasses that can be classified into six subfamilies of the Poaceae, eighteen tribes, and eighty-seven genera. Significant changes have been made in grass classification since the first edition of The Grasses of Missouri was published in 1961, resulting in an increased emphasis on phyletic criteria. Recognizing the recent advances in classification and changes in nomenclature, as well as new additions to the flora, this newly revised edition serves as a compilation of the native and naturalized species and subspecific taxa found in Missouri. Formerly divided into two subfamilies, the Festucoideae and Panicoideae, the state's grass flora is now represented by six subfamilies. While the Panicoideae have remained intact, the traditional Festucoideae are now separated into smaller, more cohesive groupings. Further revisions have resulted in eighteen tribes compared to the twelve identified in the first edition. Covering more than 275 species and subspecific entities, The Grasses of Missouri is an essential research tool for identifying grasses, complete with working keys, descriptions, line drawings, distributions, a glossary, and a bibliography. The professional and lay person alike will benefit from this indispensable manual. "Significant changes have been made in grass classification since the first edition of The Grasses of Missouri was published in 1961, resulting in an increased emphasis on phyletic criteria. Recognizing the recent advances in classification and changes in nomenclature, as well as new additions to the flora, this newly revised edition serves as a compilation of the native and naturalized species and subspecific taxa found in Missouri." --BOOK JACKET. 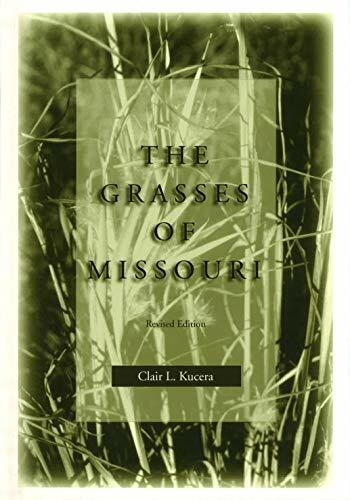 "Covering more than 275 species and subspecific entities, The Grasses of Missouri is an essential research tool for identifying grasses, complete with working keys, descriptions, line drawings, distributions, a glossary, and a bibliography. The professional and lay person alike will benefit from this indispensable manual." --BOOK JACKET. Clair L. Kucera is Professor Emeritus of Biological Sciences at the University of Missouri-Columbia. He is the author of The Challenge of Ecology and numerous scientific articles.